Workers with disabilities who are employed by a local contract-labor organization are on strike in Arlington. Some of the workers earn less than $13 an hour; none earn as much as $15 an hour. They endure difficult working conditions, such as insufficient breaks. They also lack access to affordable health-care coverage. They voted to join LiUNA! Mid-Atlantic Laborers, an AFL-CIO affiliate, over a year ago. In early May the National Labor Relations Board certified LiUNA as their representative, but the employer has appealed the NLRB’s decision and refuses to negotiate with the union. The strike is in its third week. 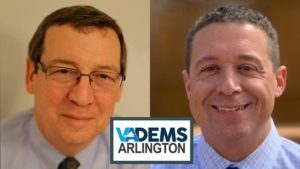 These Arlington workers need your support. The workers are custodians at the Army National Guard Readiness Center in Arlington. They are striking against Didlake, Inc., which holds the contract to provide custodial services at the facility. Their disabilities include conditions like epilepsy, the after-effects of polio, and deafness. They deserve to be treated with the same respect afforded other workers. 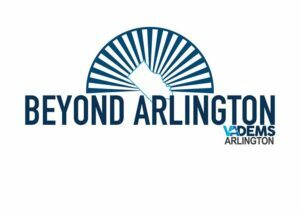 The strike has attracted support from several local elected officials, including State Senator Barbara Favola, State Delegate Elizabeth Guzman, and Arlington County Board Chair Katie Cristol. Didlake is a non-profit organization that says its purpose is to create “opportunities that enrich the lives of people with disabilities,” in part by helping them “get engaged with their community” and find “competitive employment.” These are worthy goals. To achieve them, however, Didlake should secure a living wage and benefits, as well as decent working conditions for its disabled workers. It should start by negotiating in good faith with LiUna to improve the lot of the Army National Guard Center custodians. Didlake should recognize the decision of its workers to unionize. You can helps these workers by calling, emailing, and joining the picket line. CALL. 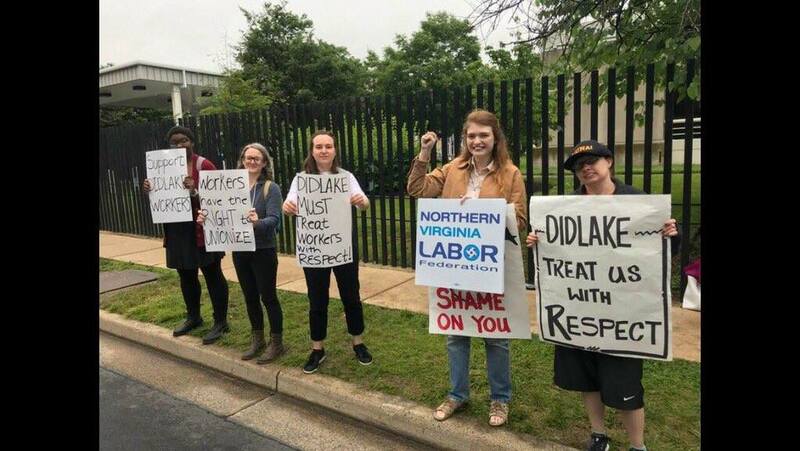 Donna Hollis, Chief Financial Officer of Didlake, at (703) 361-4195 or (866) 361-4195 and urge her to negotiate in good faith with the workers’ union. EMAIL. Didlake at ask@didlake.org and urge the company to negotiate in good faith with the workers’ union. JOIN. The daily picket line is at 111 South George Mason Drive in Arlington. The striking workers would appreciate even 15 minutes of your time. Parking is available at the Unitarian Universalist Church at 4444 Arlington Blvd.